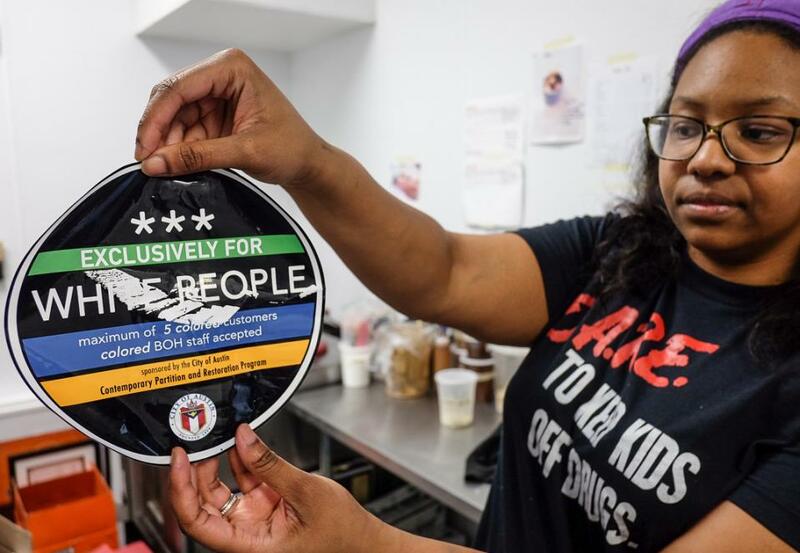 Mayor Steve Adler said the stickers discovered Wednesday morning were “an appalling and offensive display of ignorance in our city.”The stickers also say “Maximum of 5 colored customers / colored BOH staff accepted,” apparently referring to the “back of house” operations at a restaurant. They featured a city of Austin logo and claimed to be “sponsored by the City of Austin Contemporary Partition and Restoration Program,” though no such program exists. Many of the store owners didn’t even understand why the signs were placed in their stores. One store owner commented that she didn’t understand why the signs had been placed in her store since the business had a variety of different customers. The vandals have yet to be caught and charged, though the search is ongoing.